Even the worst critic of Melbourne will admit that Melbourne is indubitably a foodie heaven. One of the many attributes that gives Melbourne edge over countless cities around the globe is the vast and enigmatic laneways of Melbourne CBD. 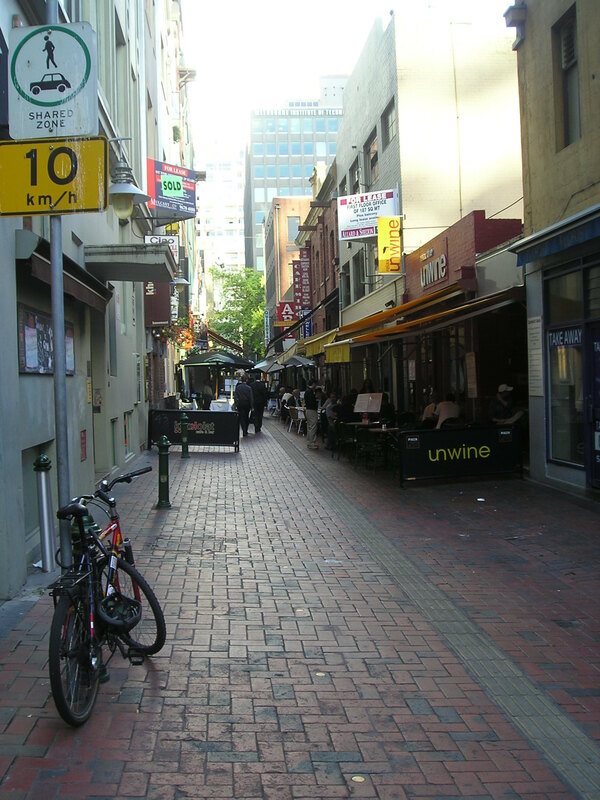 These laneways, often lit with bright lights and adorned with beautiful urban art, provides shelter to multiple exotic cafes and restaurants. Go on a walking expedition and take pleasure in making discoveries of some iconic restaurants hidden away in the cosy corners of Melbourne laneways. Enjoy a dazzling, romantic feast in the heart of Melbourne. Nestled between Flinders Street and Flinders Lane the Degraves Street laneway lies right opposite the Flinders Street station and is lined with numerous cafes and restaurants. Some of the many highlights comprise of La Citta serving delicious modern European food, II Tempo offering delectable, home-style Italian cuisine and so forth. Rich in flavour and with great service, these restaurants will hit all the right spots and will draw you back for seconds, thirds and more. One of my most favourite lanes, Flinders Lane is the ideal destination for top-notch restaurants. If you are in the mood for some memorable fine dining then wind your way around Melbourne to reach Flinders lane, running vertically between Flinders Street and Collins Street. Enter ChinChin and sample unique fusion Asian food which will leave you with an irresistible desire to return for more. Step next door and you will be at the doorstep of Coda which will effortlessly steal your heart by winning your tummy with its delightful Asian cuisine and exotic wine. A few minutes walk uphill will lead you to Papa Goose restaurant which is famous for British cuisine. And these are only some examples of the very many amazing cafes and restaurants that await you all along Flinders lane. Hardware Lane is a cobbled lane that runs roughly north-south between Bourke Street and Lonsdale Street. This lane abounds with exotic restaurants offering a wide array of cuisines. A brief walk down this lane will open up a wonderful world of delicious cuisines from around the world. You will be lost for options. And your dilemma will not be reduced by any degree by the constant greetings by waiters and managers attempting to draw your attention to various specials. They will also throw in some tempting freebies like free drinks and free entrees to lead you inside and try their exquisite food. Take your pick from any of the awesome restaurants for example Max, Grill Steak Seafood, Vons and so on. And as icing on the cake, while enjoying a fine breakfast, lunch or dinner in any of these restaurants you will be serenaded by live jazz music. 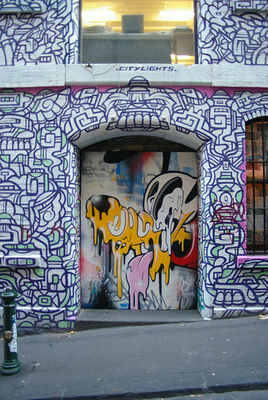 A discussion of Melbourne laneways will be incomplete without including a snippet on Hosier Lane. Hosier Lane is a bluestone cobbled pedestrian laneway located right opposite the entrance to the Atrium at Federation Square on Flinders Street. 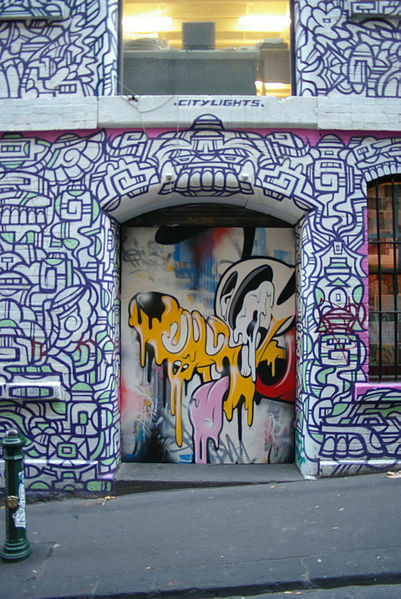 Celebrated for the sophisticated and eye-popping urban street art, this laneway is also home to the renowned restaurants Movida and Movida Next Door. Movida and Movida Next Door offer traditional but contemporary Spanish food. The wide range of delicious tapas may not fill your tummy but are guaranteed to tempt your senses, appeal to your palate and gratify your soul. Pay a visit to this famous lane to sample some drool-worthy and delectable food and while you are there take time to revel in the awe-inspiring street art. 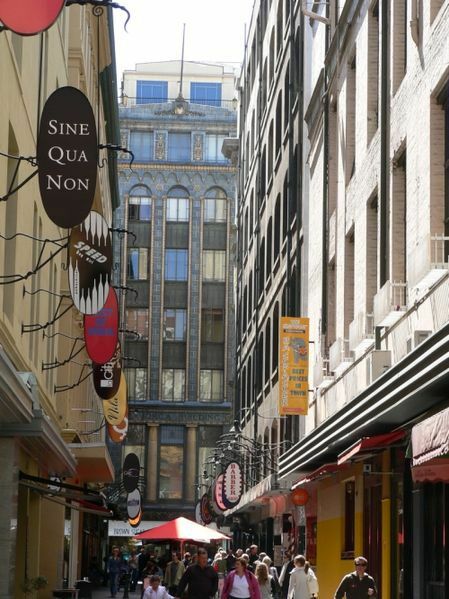 Do you have a favourite laneway with exquisite restaurants? Please feel free to share your recommendation with our readers.